The Algona (Iowa) Plant, the local manufacturing plant owned by Hormel Foods Corporation (NYSE:HRL), announced today that it has donated $10,000 to fight hunger in the Algona community. 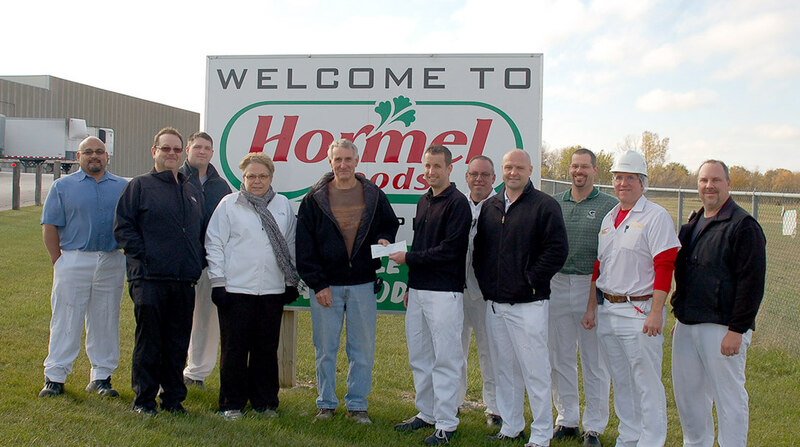 The Algona Plant is donating $10,000 to the Algona Care Team, which is a local charitable organization that distributes food to Algona’s hungry families The donation is part of the Hormel Foods Plant Community Donations Program, which gives employees the opportunity to assist local hunger relief organizations and strengthen the communities where they live and work. In 2012, the Algona Plant donated $10,000 to the Kossuth County Food Pantry.